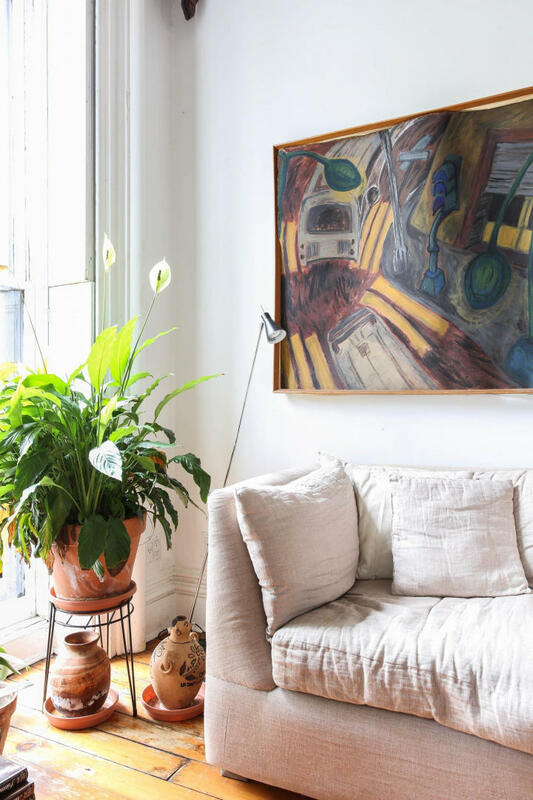 Impressive artworks, eclectic ornaments and smart furniture – this Boerum Hill home feels cultured and considered. 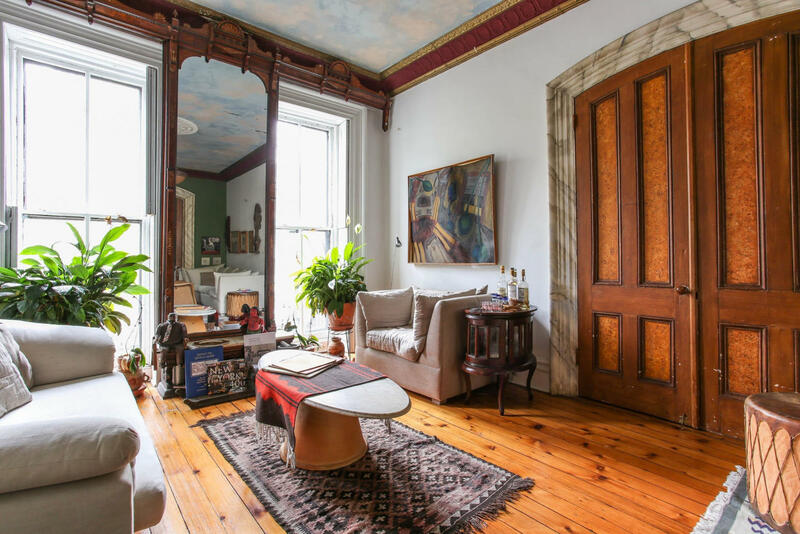 Stepping inside, you’ll first come to the sitting room, through an arched double doorway. 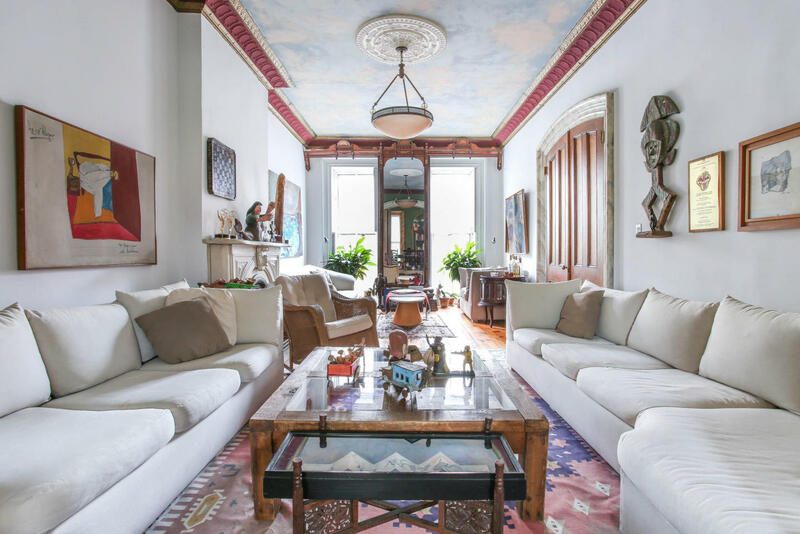 There’s plenty to catch the eye here, from the elaborate gilt cornicing and frescoed ceiling to the original (and ornamental) fireplace and collection of curios. Another arched doorway leads through to the dining room, which has a dining table for six and a pair of floor-to-ceiling bookshelves. - The floors in this home show some signs of wear. - While babies under the age of nine months and children over the age of three are very welcome, this home is not suitable for toddlers. - This home has air-conditioning in all of the bedrooms. - There is a sofabed in the third bedroom which can be set up for two. Please let us know when you book if you would like it prepared. - While this home does not feature a traditional oven, guests will find there is a small convection oven in the kitchen that doubles as a microwave. - The washing machine and dryer for this home are in the communal laundry room on the unfinished lower ground floor. - Some noise can be heard from the separate home on the lower ground floor.